"Whether you have experienced the sudden chill of fear, or simply live in hope (or dread) of doing so, Haunted London offers the first gazetteer of the capital's other population." 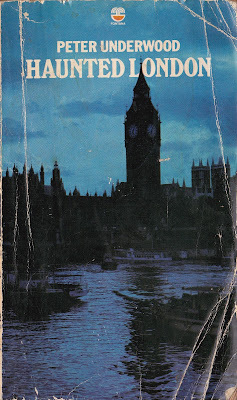 Peter Underwood had been president of the Ghost Club (which can't help but make you think that meetings must've decamped to the Monster Club next door) for more than 10 years when he wrote this alternative tourist trail to the big smoke, and already well enough known as a writer on the occult to be a consultant adviser to the BBC. So he had plenty of tales, whether from seeking or being told, of odd goings on, elusive strangers, heavy footsteps without a body and noises which no one could account for in famous landmarks, unlikely attractions and humdrum regular daily haunts, as it were, across the city. 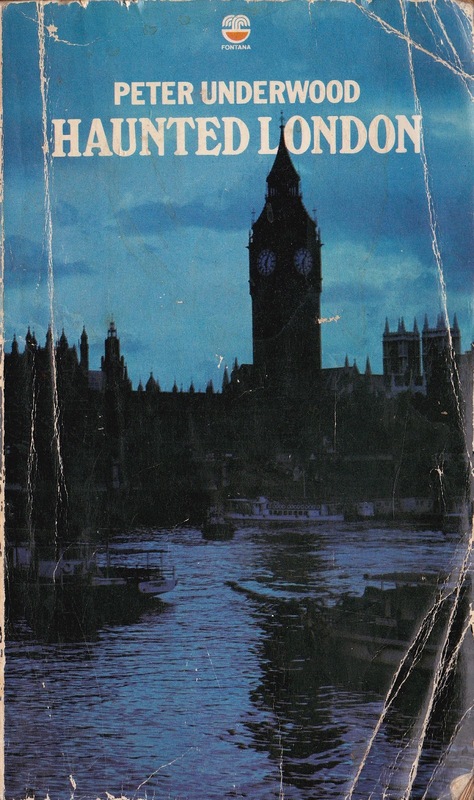 But, reading the bibliography, with titles like The Mummy Of Birchen Bower, from 1966, Unnoticed London, from 1922, and Ghosts Vivisected, from 1957, it sounds like he had just as good a time researching this book in city's libraries as he obviously did writing up his stories in spine-tingler style. Thanks very much to Frances Castle for the gift of it. occult 60s coverage - "lee marvin is afraid"